The L18 men's hair replacement system gives you the high realism of a bleached knot lace front but with the added strength of a fine mono base and poly back and sides if you're worried about durability. If you’re conscious about the durability of your hairpiece but aren’t prepared to compromise on a natural appearance then consider the L18 as your men’s toupee. Perhaps not as breathable or soft on the skin as other materials, the base is nevertheless, still lightweight. The 1” poly perimeter on the back and sides gives added sturdiness to the fine mono base ensuring you can get more wear out of your system. It also makes it easier to clean and maintain the system. 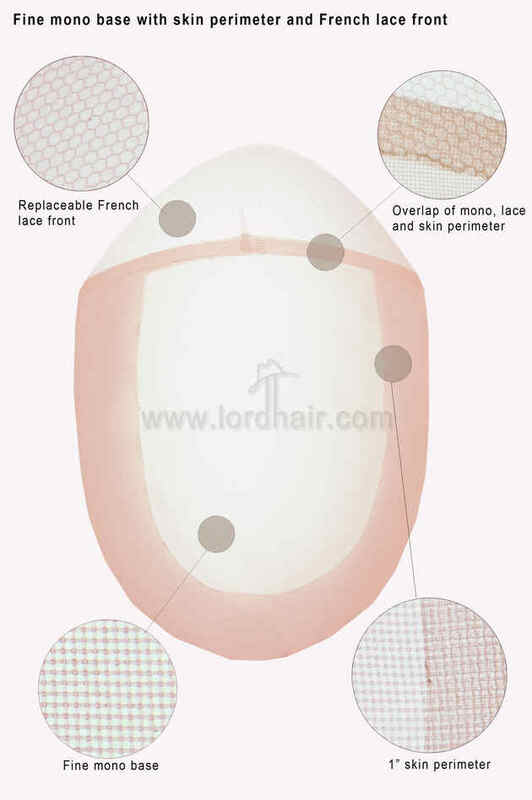 The French lace front is the most natural looking part of this hair system. 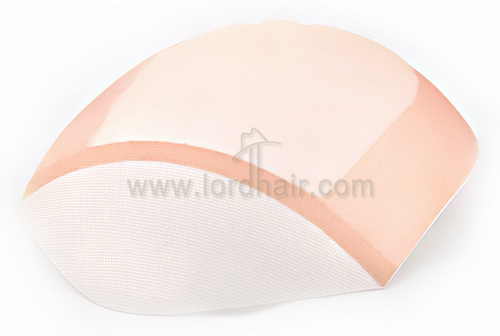 Bleached knots on this lace front will leave you with an undetectable front hairline. 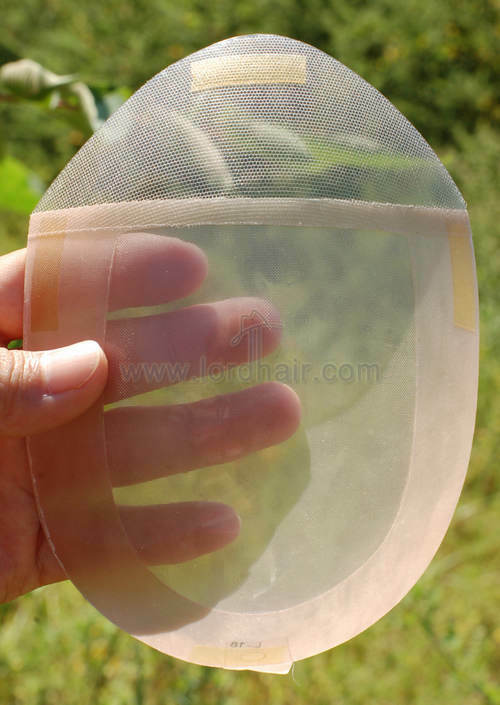 Whilst also being the most delicate part of the system, the lace front is actually secured by reinforced stitches and is totally replaceable. The combination of different materials gives you more creativity with your hair as you can have more than one kind of hair density on this density. We’d recommend light or medium light hair density on the lace front and up to a medium density on the top. Base Construction: Fine monofilament base overlaid with 1” poly perimeter on back and sides for extra sturdiness. French lace front, totally replaceable. Bleached knots offers the most natural appearance Reinforced stitches on the overlap connections for additional toughness. Bleached knots on lace front section. 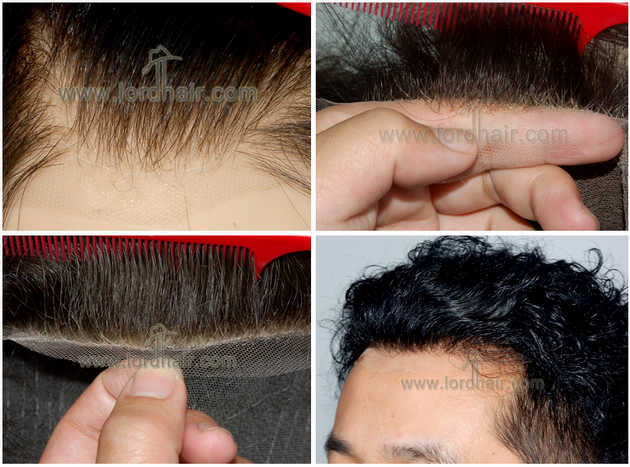 Appearance: Undetectable front hairline, natural front appearance, decent top view. Suited hair density: Light or med-light on lace front and medium on top and back. Comfort: Light weight, the skin perimeter provides a track area for the easy application of tape and adhesive. Incorporating the skin perimeter will also enable you to bond the hair system for longer periods of time and it also makes it easier to clean. This system is the best mix of both beautiful appearance and durability. Always the best choice!